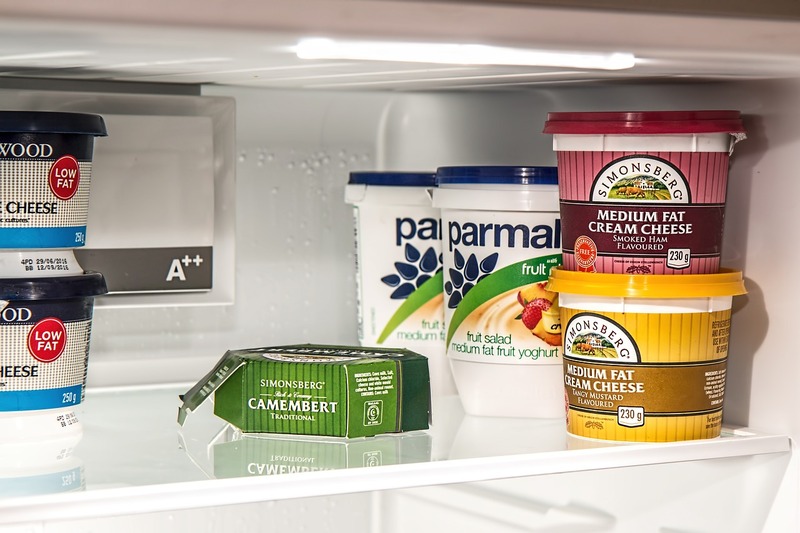 If you're spending too much time hunting through your fridge for what you need, it's time to reorganize! Here's a few suggestions to help you reclaim your fridge and make meal time easier. Once your fridge is empty, give it a good, thorough cleaning and make sure the temperature is set to a safe 5°C (40°F) or lower. This area is warmer than other shelves, so put anything that doesn't need to be super cold here. Drinks, butter, and soft cheeses are a great start. Milk should be in the coldest part, but if you want to keep it with the drinks, make sure it's at the back where it's colder. Place deli meats, leftovers, eggs, yogurt, creams, and ready to eat foods in this area. Always store your eggs in the carton they come in to prevent them from absorbing strong odours and to keep the yoke in the centre. Also ensure that the expiration date is visible. The bottom shelf is the coldest place in your fridge, so store raw meats and ingredients that need to be cooked at higher temperatures here. It's important to avoid cross contamination, so using a clear plastic bin to hold raw meats will help keep leaks contained. Fruits and veggies need the humidity the drawers can provide. However, if you don't need both drawers for fruits and veggies, consider using one drawer for raw meats and regularly clean it out. Drawer dividers are helpful for keeping similar foods separate and organized. The door is the warmest part of the fridge and best for condiments, cheese, and canned or packaged drinks. Never place eggs, milk, or unpasteurized orange juice in the door, or it will quickly spoil. A well-organized fridge will keep your foods from spoiling by allowing air to circulate easily. Containers and baskets can help, and if you clean it out every 4 months, you'll never have to reorganize again!